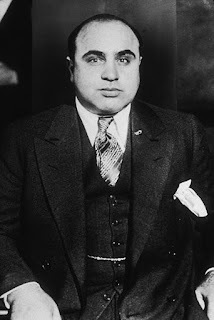 Alphonse Gabriel Capone (January 17, 1899 – January 25, 1947) was an American gangster during the Prohibition era as the co-founder and boss of the Chicago Outfit. His seven-year reign as crime boss ended when he was 33. 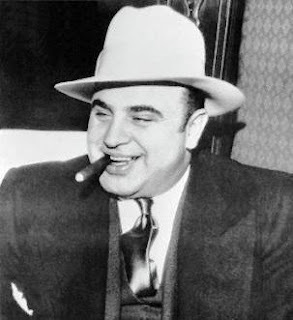 Capone indulged in custom suits, cigars, gourmet food and drink and prostitutes. He was known for his costly jewelry. His favorite responses to questions about his mob activities were: "I'm just a businessman, giving the people what they want"; and, "All I do is satisfy a public demand." 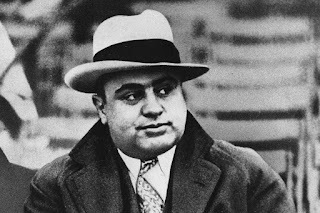 The bootlegging operation of Bugs Moran and his partners posed a significant challenge to Capone. 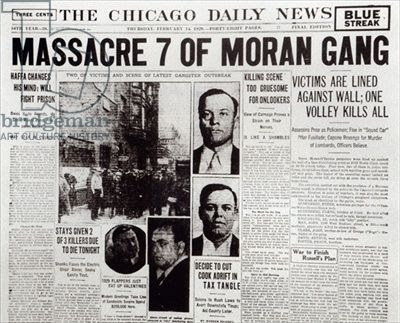 Moran and Capone led a turf war with each other that cost dozens of lives. 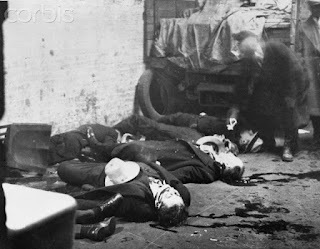 On February 14, 1929, in an event which has become known as the Saint Valentine's Day massacre, seven members of Moran's gang were gunned down in a warehouse, on the orders of Al Capone. Capone instantly became a national celebrity. 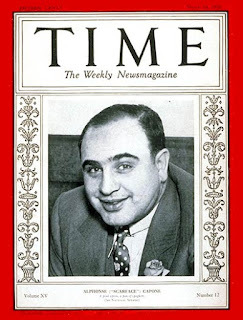 The Saint Valentine's Day massacre damaged Chicago's and Capone's image, leading citizens to demand government action and newspapers to dub Capone "Public Enemy No. 1". He was prosecuted in 1931 for tax evasion. Mob figures led lavish lifestyles yet never filed tax returns, and thus could be convicted of tax evasion without requiring hard evidence to get testimony. He was convicted and sentenced to 11 years in federal prison. Capone showed signs of syphilitic dementia early in his sentence. 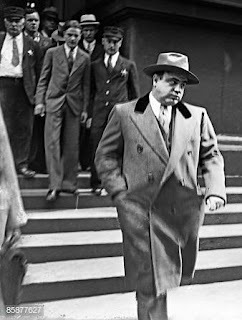 Al Capone on the day of his release from jail Chicago 1939. Capone was released in 1939 after eight years. On January 25, 1947, he died of cardiac arrest after suffering a stroke. 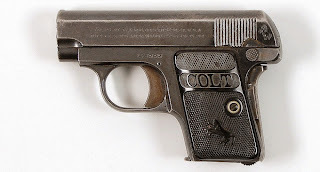 Al Capone’s Colt .25 semi-automatic pistol sold for over $ 16,000 in 2012. 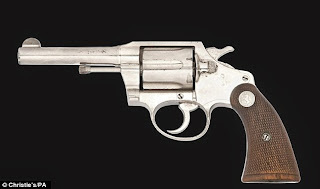 His Colt .38 revolver sold for $110,000 at a Christie's 2011 auction.